YARA means "the place” in the native Taino language of the Caribbean. It was a gathering place, mystical and sacred; always dedicated to feasts and celebrations. 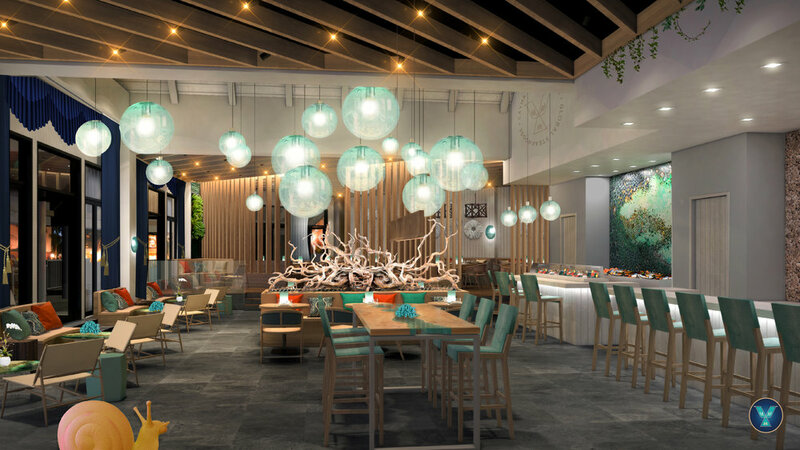 Multi billion brand Margaritaville got their gears ready to open their first resort at Grand Cayman in the Cayman Islands. The expectation was to deliver an above and beyond experience as their hotel brand audience has gotten more sophisticated. Our Challenge? To create an upscale brand able to reach from Millennials to Boomers. The median age of the consumer in Cayman is 25-45, so we needed to create a brand that invites to experience a unique upscale Steakhouse. Our delivery was YARA which literally translates “the place” in the taino Cayman Island native language, it was brief, concise and sticky, but beyond the name is also a mystical experience that delivers global sounds, textures and images. We partner with HHG and Dubai based KTC Consulting Firm to Create this stunning brand. YARA “The Global Steakhouse” is the type of upmarket establishment that you would find in most large cities with a great food culture. It combines great food, well mixed cocktails, a sophisticated yet affordable wine list, an energetic vibe, live entertainment and a warm contemporary design all in one outlet.